There is a dog on my lap. — Hey Mikli! There is a dog on my lap. It’s the first weekday of my son’s summer vacation and I already set off the smoke alarm. One day down, three months to go! There is a dog on my lap. And tissue in my nose. My dust allergies are back but I don’t want to take an antihistamine or else I’ll be knocked out all day! I wrote (!) all of last weekend on an emergency project for the nonprofit I used to work for. How very back to my roots! It is not On Brand™️ for me to give myself praise but I did good. 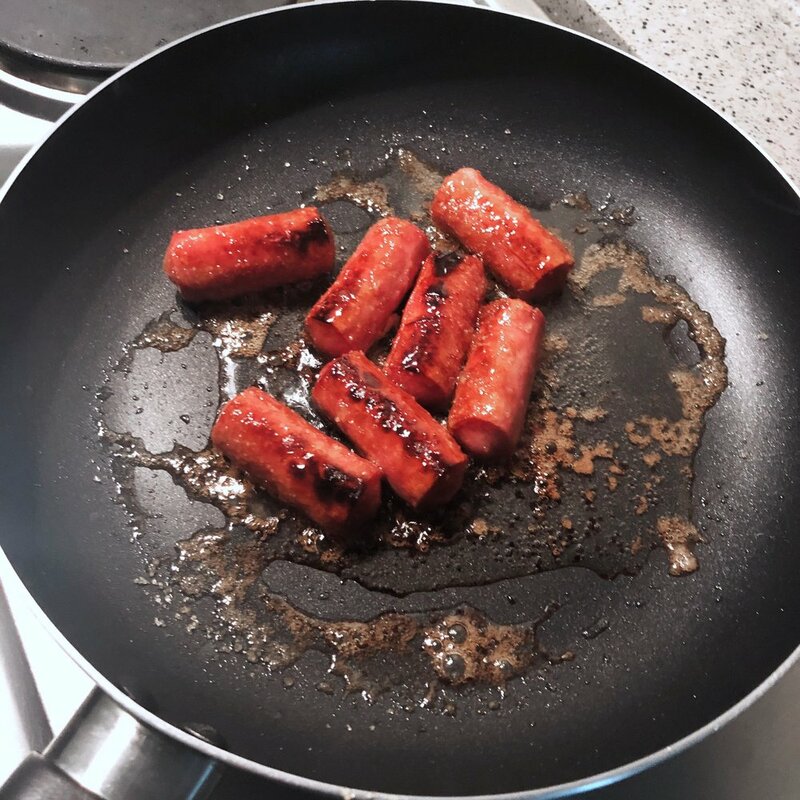 After the smoke alarm stopped alarming, I made caramelized Vienna Sausage. Pair with Campbell’s mushroom soup and rice. Feed your soul, friends. Please read Storyworthy by Matthew Dicks. I recommend it 9208394239 times over. I’m sad I’m almost done with it. I have season 3 of Queer Eye on in the background — in the background — while I work. And still, I’m sobbing over my keyboard as Karamo helps a guy like what he sees in the mirror. Me next, please, but also no because you will break me. I have a tweet that went teeny weenily viral. It’s not by any stretch actually viral, but it’s viral in my heart. I’m so sleepy. Is it Saturday yet?